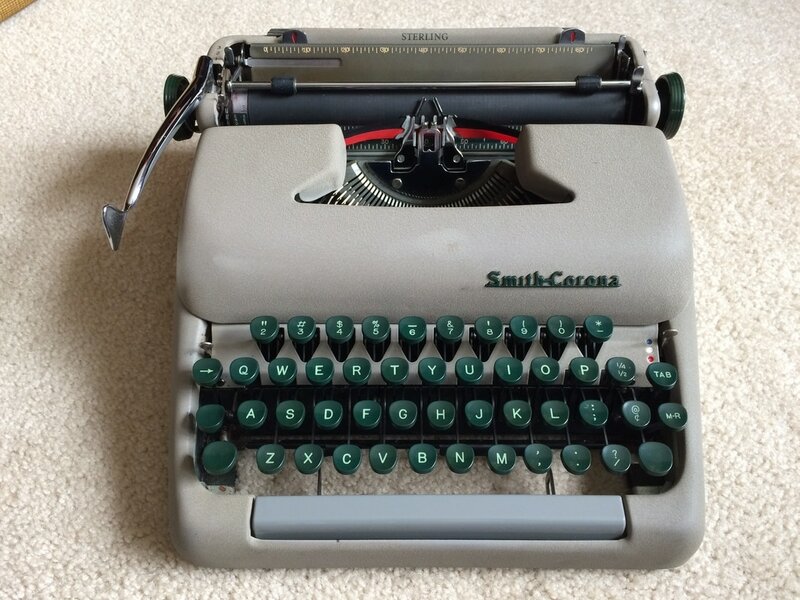 A quick guide to help you get a general idea of what your typewriter is really worth. The simplest answer to the question is this: a typewriter is only worth what someone is willing to pay for it. ​When I started collecting, not a lot of people were interested in typewriters, and you could easily find decent typewriters for $10 and under. 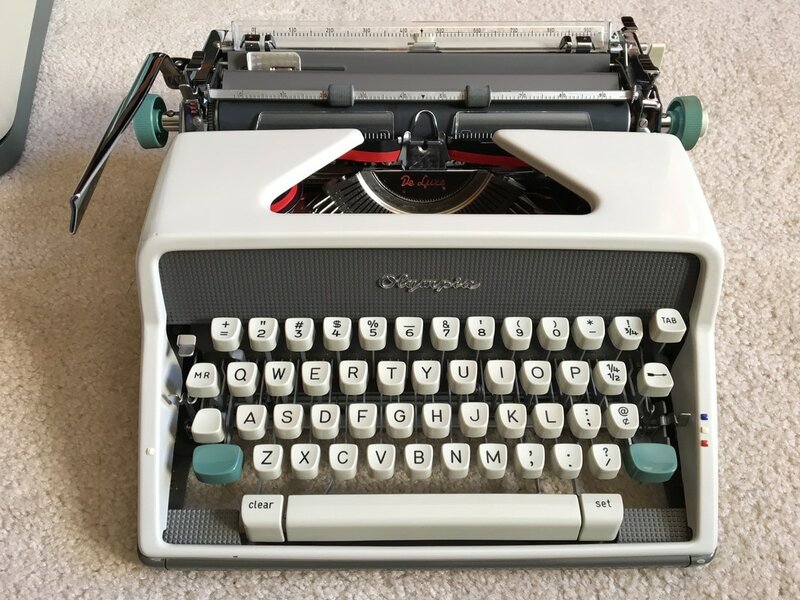 Nowadays, nearly everyone realizes that typewriters are somewhat valuable, and it's a lot more uncommon to come across a buyer who is willing to part with a typewriter for less than $20 (unless it's a rust-bucket). 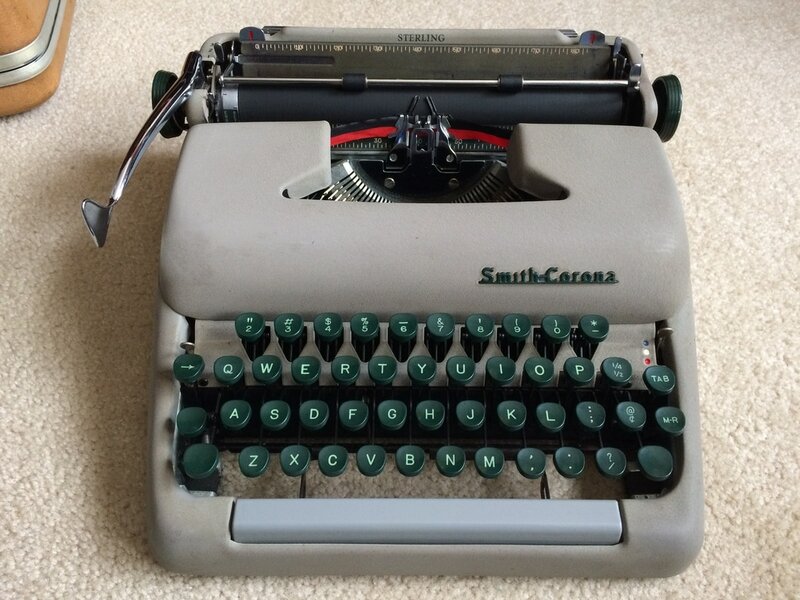 People are currently willing to pay much more for a typewriter than they did several years ago. 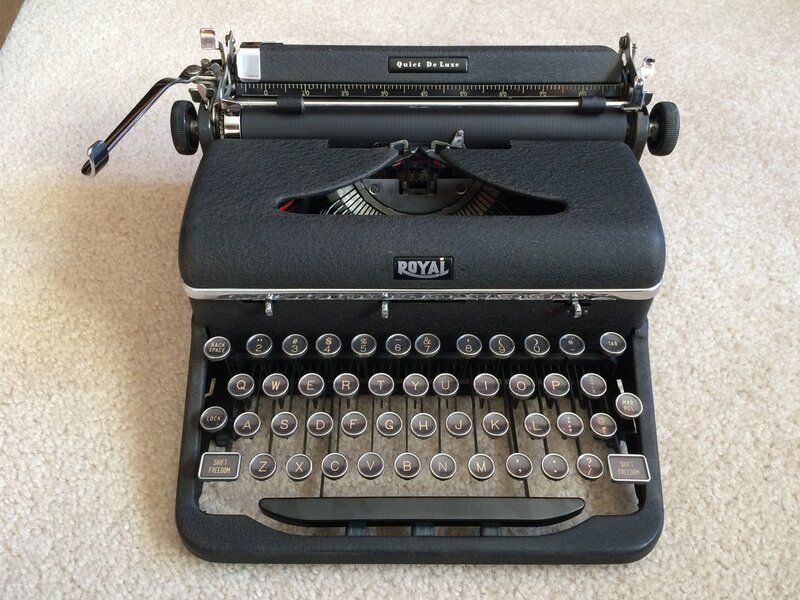 IMPORTANT: In terms of getting you what you're looking for- your typewriter's value, I must first issue this quick disclaimer: It's impossible for me to appraise your typewriter with 100% accuracy. Not only is the market for typewriters constantly changing, but there are thousands of makes/models, and every machine is in its own unique condition. Also consider the fact that in this guide, I am mainly writing this guide for Americans and perhaps Canadians- however this guide may still be helpful for those in other nations. Condition - This factor is probably most influential in your typewriter's value. 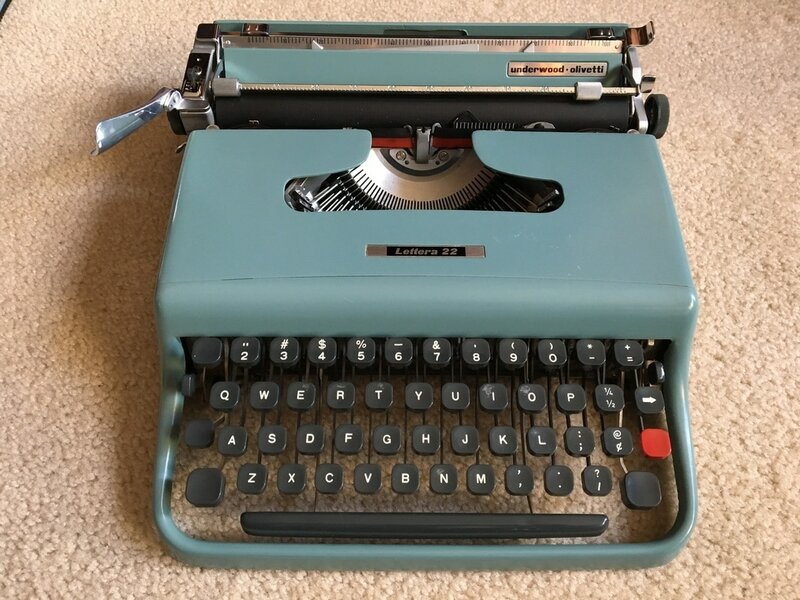 A typewriter in mint condition (but it seriously has to be MINT) will sell for exponentially more than the same beat-up model that may need work. 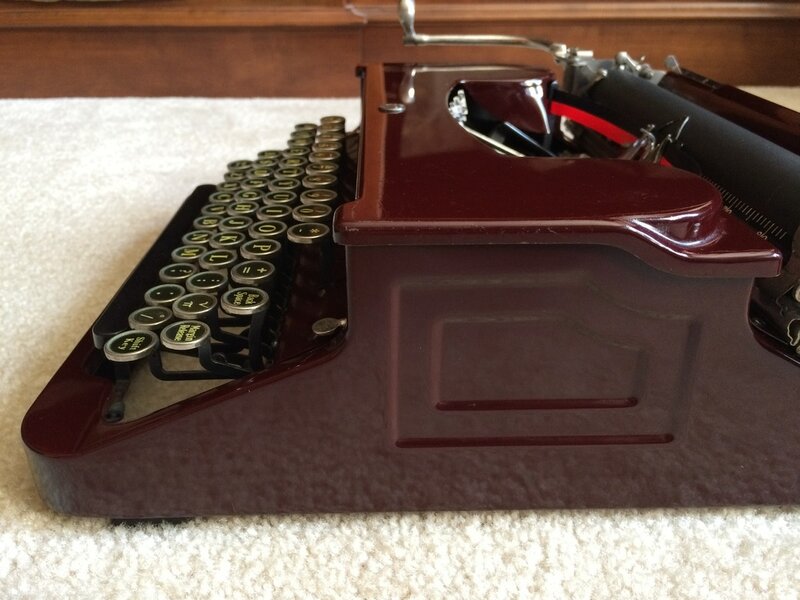 For example: A mint Underwood No. 5 may bring just over $1,000 while the same model in average condition- some paint loss, light metal pitting, worn labels, etc.- may struggle to bring $50-$100. Condition has many sub-factors, but both cosmetic and mechanical condition are very important to take into account. 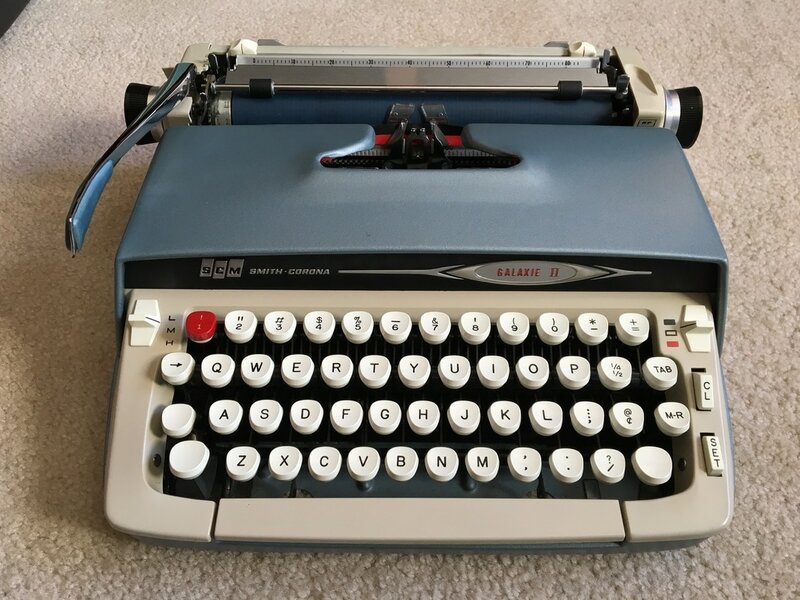 If the typewriter needs a new ribbon, it's not a huge deal, but if something is broken or missing and therefore the typewriter needs professional repair to work again, the value will be impacted significantly. It's impossible to tell how much your typewriter's value will be hurt by any issues it may have, mostly because it depends on the factors I mentioned in my disclaimer above. AS-IS vs. Serviced - This still relates to condition, but this is a point that needs to be mentioned. 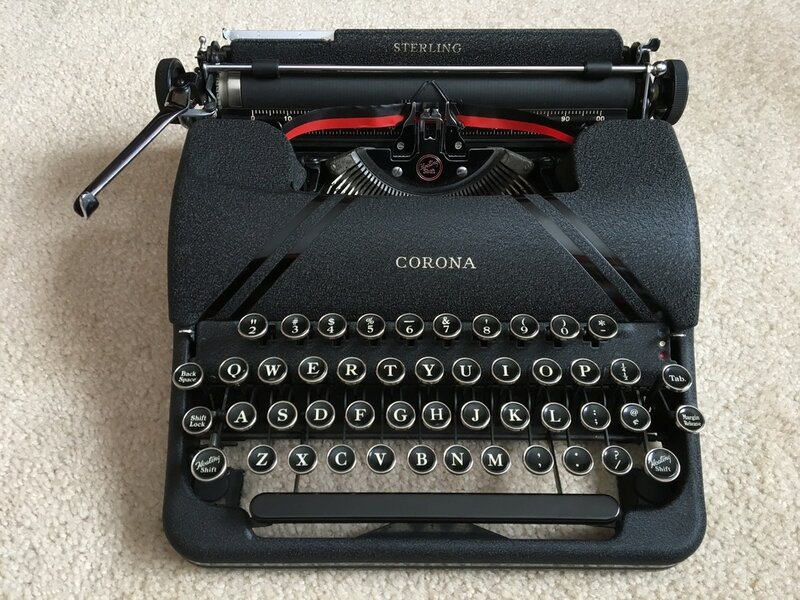 If you are selling a typewriter that was recently refurbished or professionally cleaned/serviced and needs absolutely no work to be used and enjoyed, you can rightfully demand a higher price. 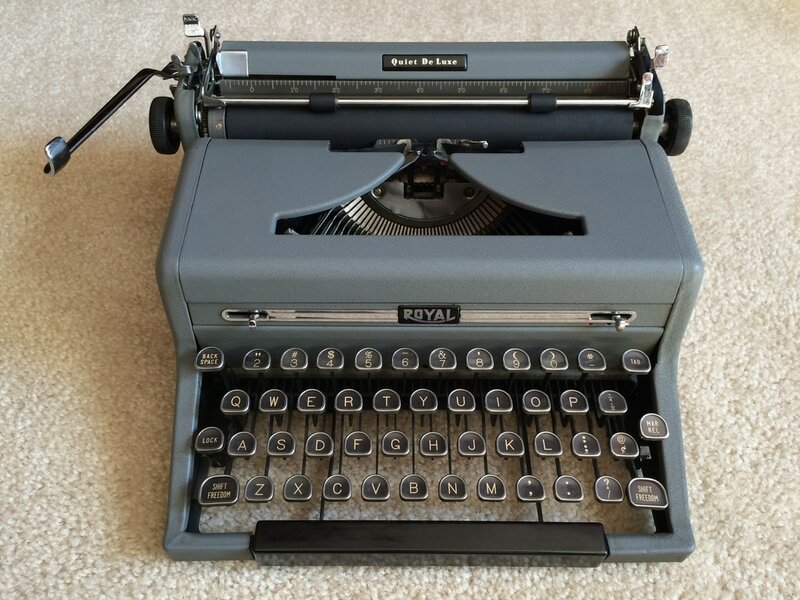 If your typewriter is dirty/dusty, needs a new ribbon, maybe has a few sticky keys, etc., and getting it serviced isn't really an option, you will not be able to sell your typewriter for as much as if it had been serviced. This is rather understandable, but if you base your TLC-needing typewriter's value off typewriters for sale on this site and typewriters that have been professionally serviced on eBay and Etsy, you will find yourself overpricing your typewriter and nobody will bother buying it- because it still needs work before it can be used to write, which the majority of the buyers are looking for. Font - Most typewriters type in the "standard typewriter font," however there are typewriters with desirable fonts such as script/cursive, vogue, senatorial, etc... Vogue font is the most rare and desirable (For an example, see: http://site.xavier.edu/polt/typewriters/royalvogue.html) followed by cursive. 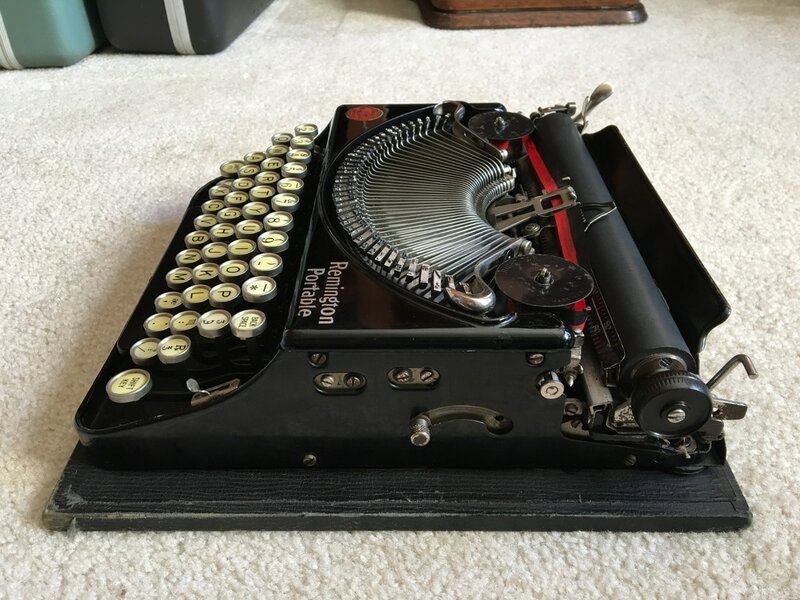 A 1930s Royal Model P with Vogue font recently sold on eBay for $1,404, while a normal Model P in the same condition would maybe bring $100 or so. Cursive/script typewriters are a little more common, but can still increase the price to the point where it's noteworthy- but not nearly as much as Vogue! Other fonts may help a bit too, but as with many other things I have mentioned, it depends on exactly what you have. Is it Foreign? - In America, typewriters that are produced in Europe are generally more valuable and collectible- however it depends on the model. 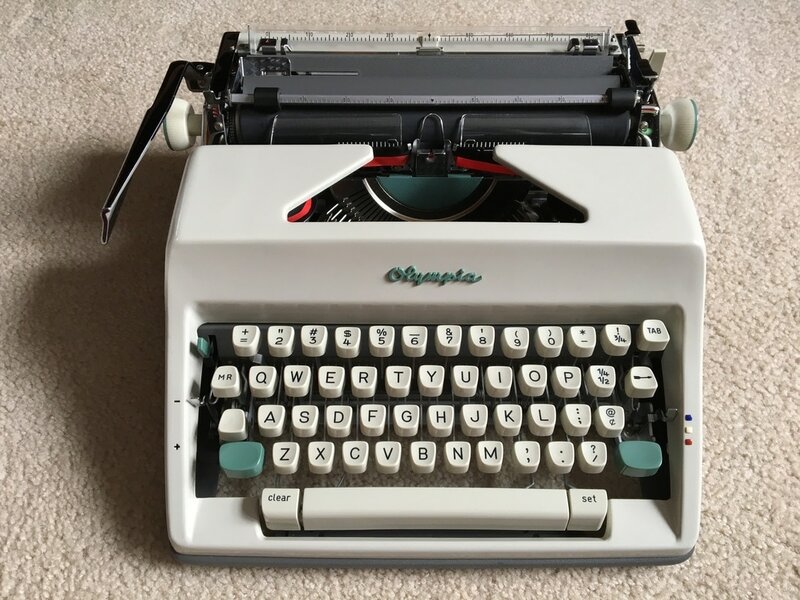 For example, the Olympia SM series, made in Western Germany (particularly the later models) were mass produced and exported in large numbers to America. In order for a foreign typewriter to affect the value significantly, it's best if the typewriter was not exported (in large numbers) to America. There are countless examples, but to name a few: Imperial Good Companion Model 1, Olivetti-Ico MP1/Rapida, Continental, Urania. 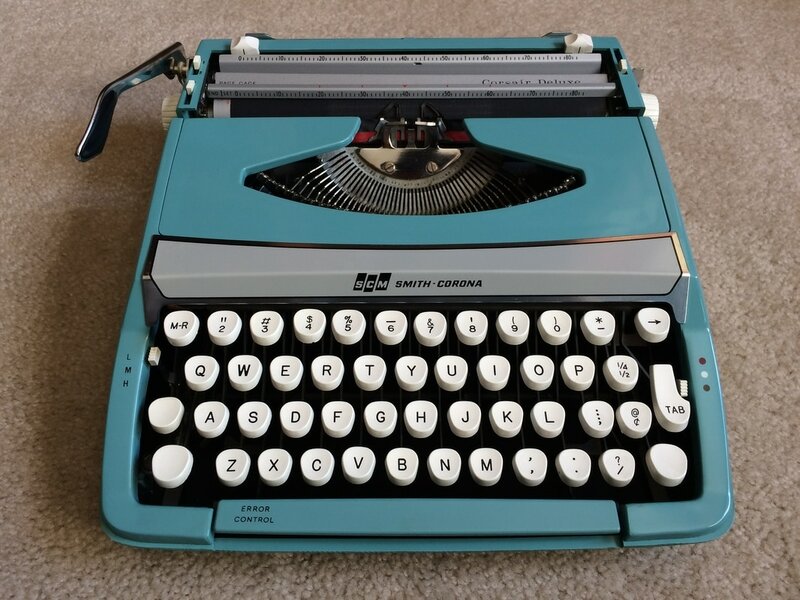 European typewriters that were not made for American export usually have QWERTZ (German), AZERTY (French) or the English QWERTY layout with foreign characters that aren't found on American keyboards. Speaking of keyboards, other unique keyboards such as Hebrew, Russian, etc. are also more uncommon, particularly in America, and usually sell for more. American-made typewriters that were made for export can also demand a bit more than normal, but it depends on the typewriter. The last concept is simple: American-made typewriters in Europe are generally worth more than American typewriters that are in America, and vice-versa. Desktop vs. Portable - Currently, the vast majority of buyers are mainly interested in portables. People more commonly like to have a typewriter that can be stowed away in a nice little case. Desktops may type really nice and sometimes look really nice, but they are heavy, take up a lot of room, and are pretty much limited to a desk, whereas a portable is more like a laptop computer. Desktops are also harder and more expensive to ship, so you're usually better off trying to sell a desktop locally. Additionally, portables sold without their carrying cases are also less valuable than the same model that includes its carrying case. There are many other determining factors other than the previous five! Continue to read below. ​values associated with those time periods. The earliest, most unusual designs are always the most collectible and in most cases the most valuable. The older and rarer, the better. 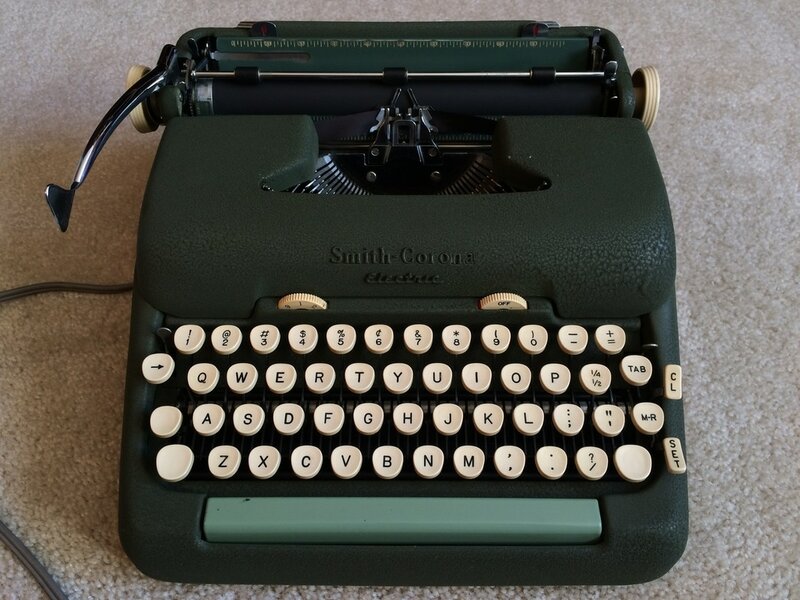 These typewriters are mostly bought by the more serious typewriter collectors who are interested in the typewriter itself and its place in history, and usually don't actually use them. Still, functionality and overall condition mechanically and cosmetically does impact value quite largely. ​There are hundreds of different makes/models of early typewriters that are extremely rare and can command thousands in some cases. Most of the early typewriters tend to be rather crude and basic in many ways compared to the more refined typewriters that would follow. You may note that a lot of the early examples were very unique, as manufactures were hoping to design and sell the best new thing for the time. Some had double keyboards (one upper case, the other lower case), curved keyboards, non-QWERTY keyboard layouts, different mechanisms or means of getting print on paper(upstrike, downstrike, type ball/element, frontstrike, index, etc.). Some examples can be found on the right and include: Fay Sholes, Blickensderfer, Oliver, Hammond, Smith-Premier. However these are actually a few of the more common examples from the late 1890s/early 1900s, and there are countless other makes and models that are even rarer. However, the odds that you actually have one of these early machines is unlikely considering that 95% of the machines on the market do not fit into this era or category. 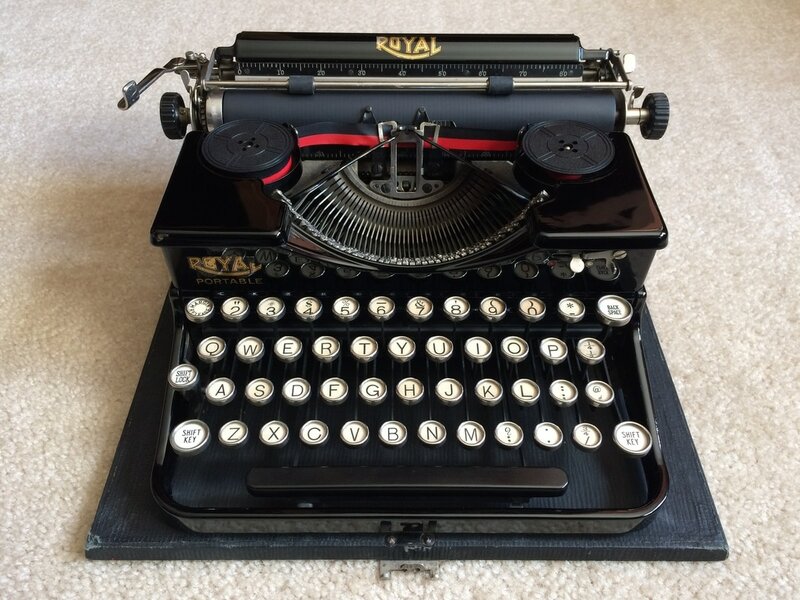 If you do indeed have one of these earlier models, I suggest doing more research and even contacting a few other typewriter collectors in order to gain more knowledge about what you have and to put an exact price with your typewriter. Some typewriters that fall within this era are only worth a few hundred dollars, while some (the Sholes and Glidden/Remington No. 1 for example) can be worth tens of thousands of dollars, depending on condition. 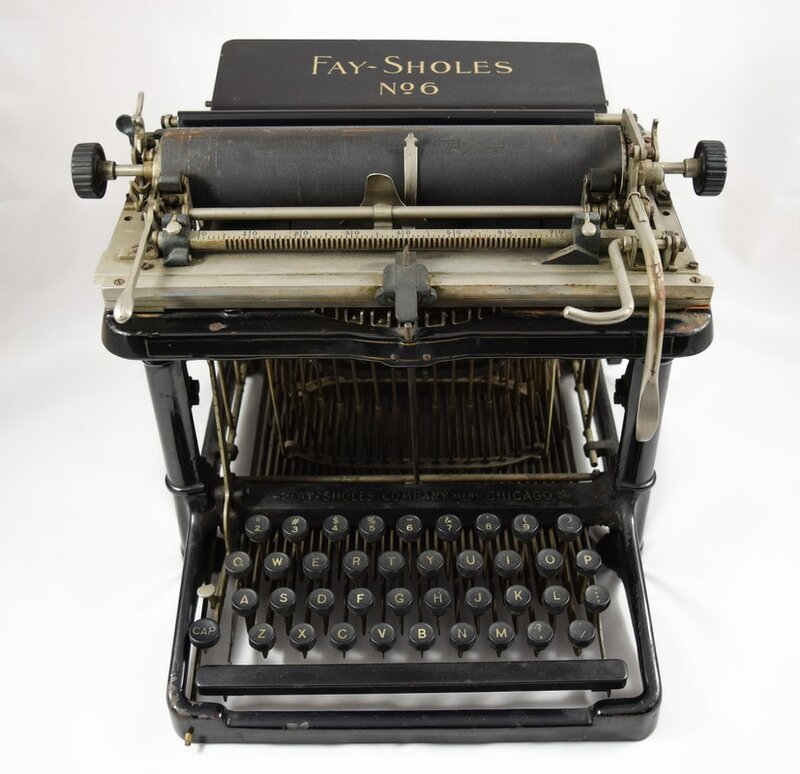 After the visible frontstrike mechanism became the most popular and preferred mechanism by the 1910s and certainly by the 1920s, the more unorthodox designs started to go away, and typewriters started to look more similar- for the most part. Portable typewriters started to become extremely popular, and were marketed more to the common household rather than business/secretaries or the affluent. 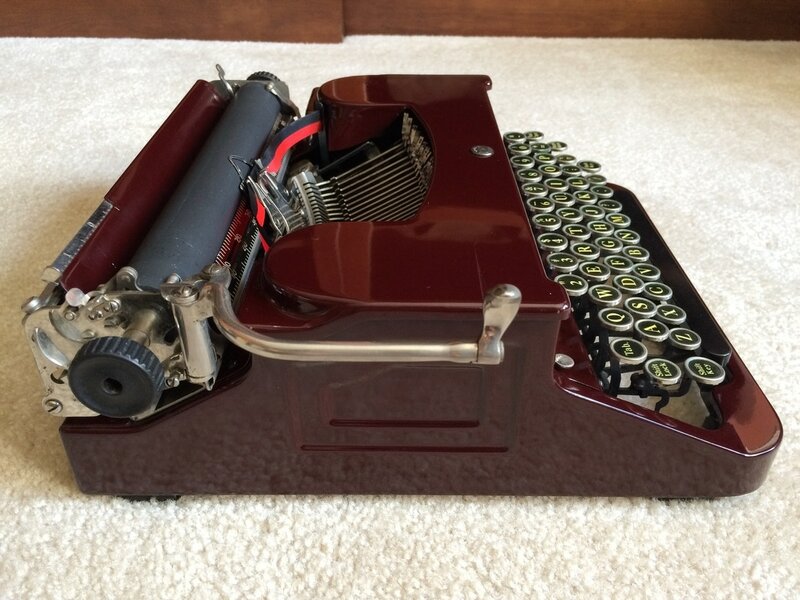 Typewriters were designed not only type well, but look beautiful at the same time. As a result, some really great looking typewriters were made during this time period, and so typewriters from this era can be rather valuable and in-demand. For example, the chrome-ringed glass keys and glossy black paint is a very popular look as of now. Condition is important as always, but most typewriters made during this era can be worth decent money, especially if they are in the condition you see in the pictures on the right (or better). ​The Great Depression also spawned some rather valuable typewriters, such as the Remington 3B and Remington Bantam (both are on the right). 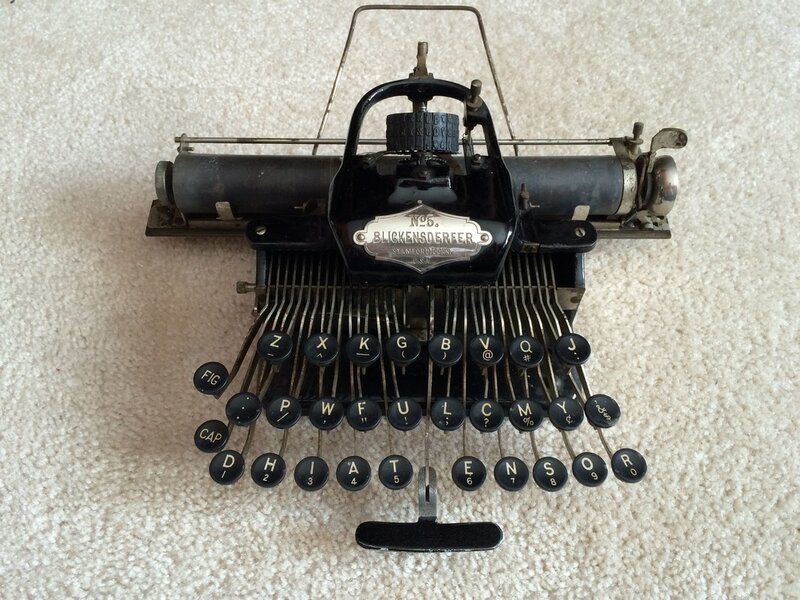 Remington and other typewriter companies (Royal, L.C. 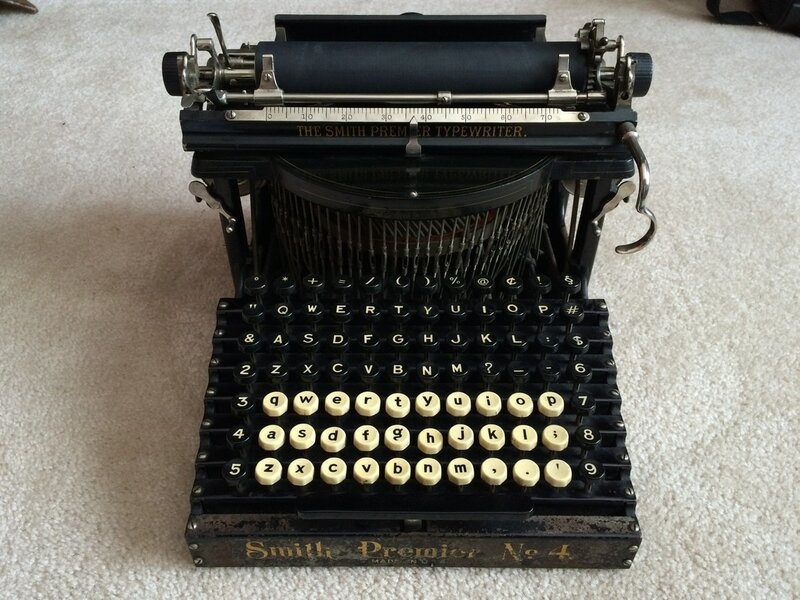 Smith & Corona, Underwood) cut down on manufacturing costs by leaving out many features and producing bare-boned typewriters in order to sell to a market with limited money for spending. Many of the typewriters produced during the depression (1930s) are rather uncommon because limited numbers were produced and sold. These models were also marked in some cases as "Junior" models, and so if you have one, I encourage you to do more research. 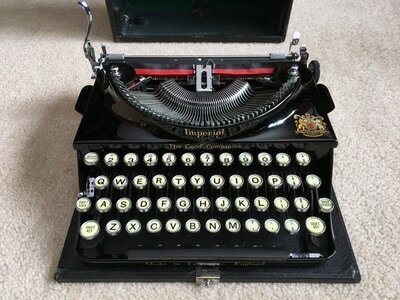 Plenty more information can be located on other sites regarding Depression era typewriters. 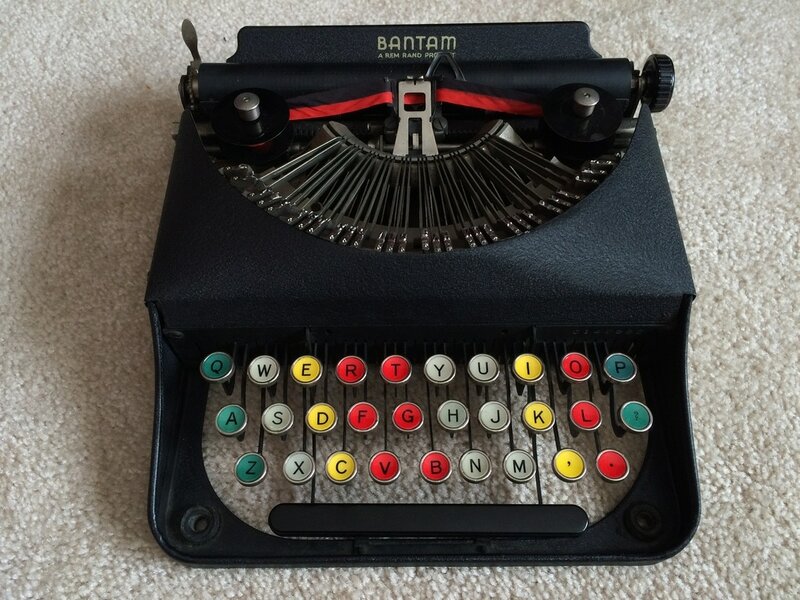 You may also notice that the Remington Bantam shown has color-coded keys. This is because typewriter companies also used their "minimalized"typewriters to help teach kids how to touch type, and perhaps even develop brand loyalty. Remington was the main company behind this idea. If you have one of these machines, I encourage you to do more research, as you likely have a $100-$500 machine on you hands- depending on condition. Typewriters made during and for the war tend to be rather uncommon and collectible, because of their historic significance. 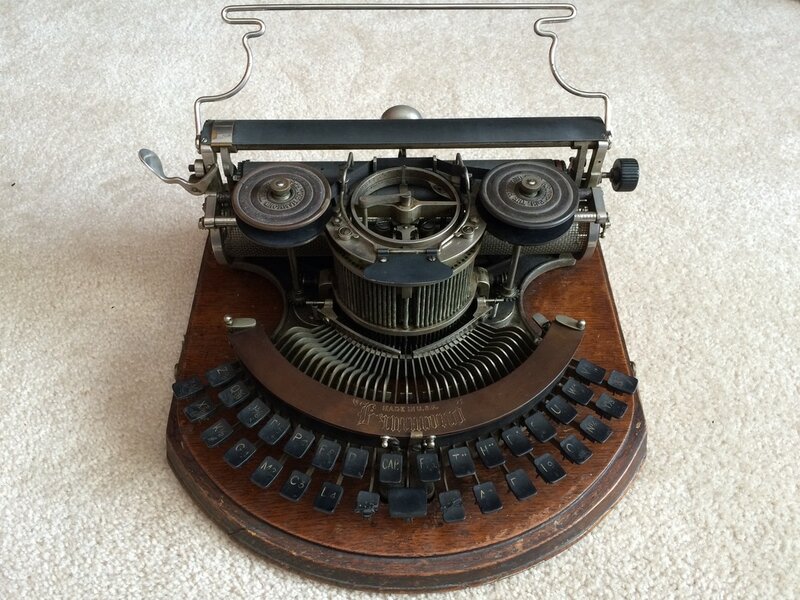 Occasionally, you'll find a typewriter that is authentically marked "US Army" or "US Navy," and sometimes (mostly in Europe) you may find typewriters like my Olympia Robust shown at the right, which were produced for the Nazis, and could be brought home to the US as a war trophy. 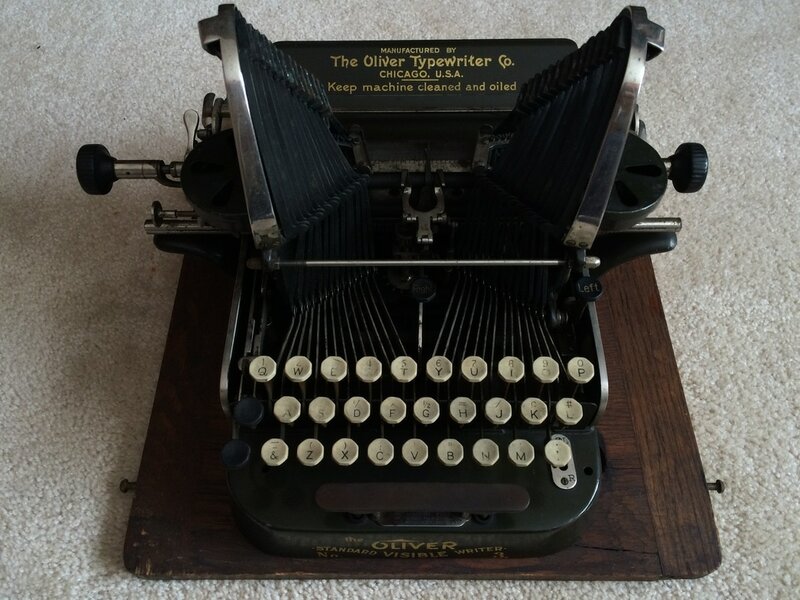 If you have a war-machine on your hands, you not only have a piece of history, but perhaps a rather valuable typewriter. I suggest doing more research. Some can be worth $100-$1,000 depending on what it is. ​On the other hand, most post-war machines are not nearly as uncommon and collectible. By the decade following the war, the glass & chrome-ringed keys started to become a thing of the past, and keys were increasingly plastic. 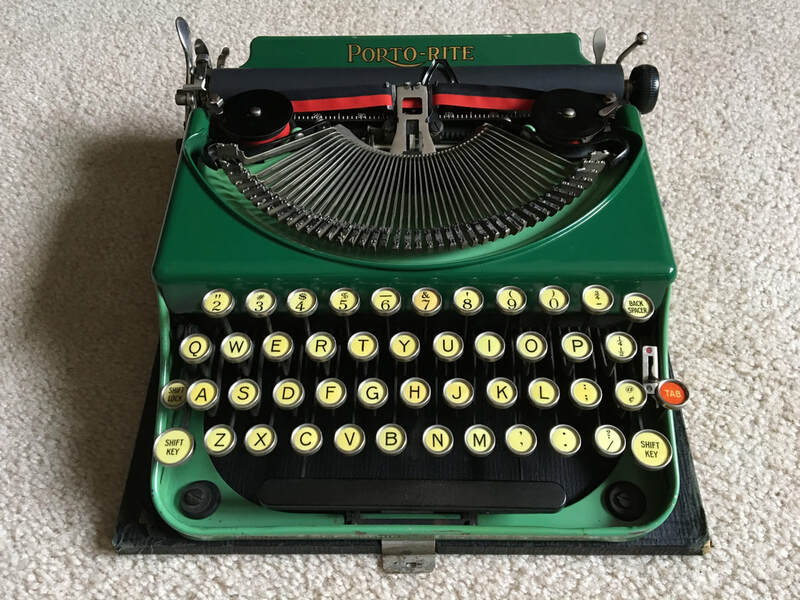 By this time, pretty much every household had at least one portable typewriter, and so the post-war typewriters are usually very common and not too valuable for the most part in comparison to the earlier pre-war machines (with some exceptions being rare, collectible European machines). Still, a lot of typewriters were being made in America. In terms of value, the post-war typewriters that need work and aren't anything special are sold for less than $100 in most cases. Most typewriters from this era were mass produced and were very successful, so there are many thousands of each still floating around. In terms of "special," anything with attractive colors and design is what sells best. 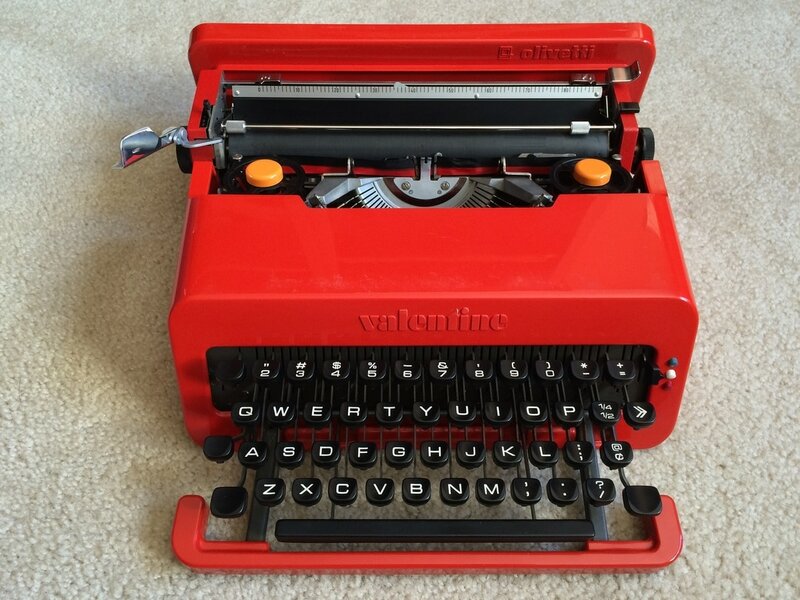 The Olivetti Valentine (the red machine shown among the machines on the right) sells for $100-$600 depending on condition. However, most of the machines made following the war are rather bland-looking. 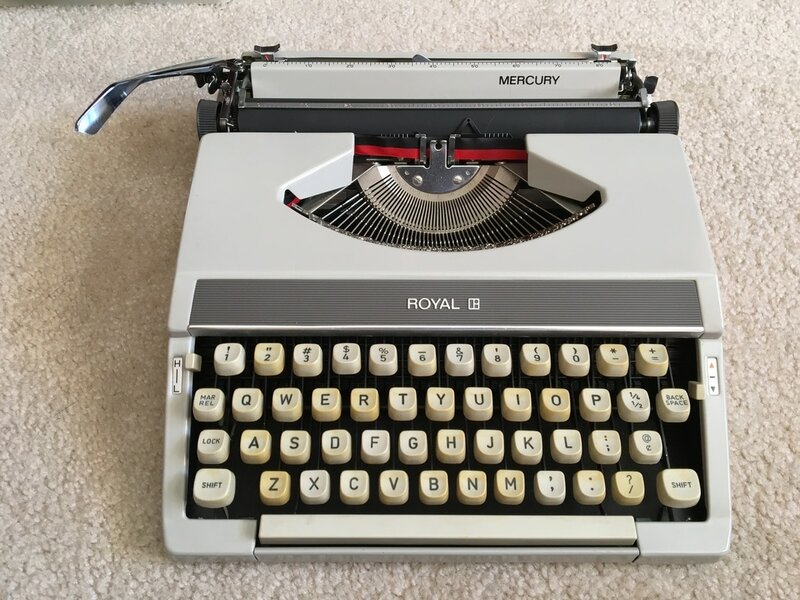 As a result, mechanical condition and functional status is very important, because it's usually the main selling point for buyers who are just looking for a typewriter to actually write with. 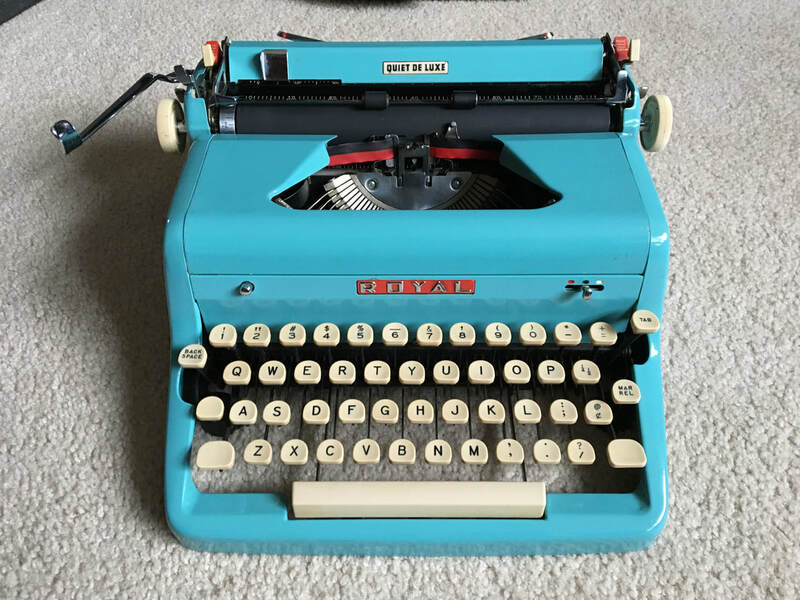 ​A common post-war typewriter that needs some work (professional cleaning, oiling, new ribbon) may only sell as-is for less than $75 (again, depending on condition), while the same machine, being completely serviced and ready for use may sell for $150-$300. Although most electrics in America are commonly from the early 1970s and later, some (rather rare) electrics were made as early as the 1930s. However, it wasn't until 1958 when Smith-Corona began production of the first commercially successful portable electric. This model can be found on the right, and is uncommon and collectible. In good condition, expect $100-$300. Otherwise, the other portable electrics aren't worth a whole lot, especially if they aren't working and ready to be used. 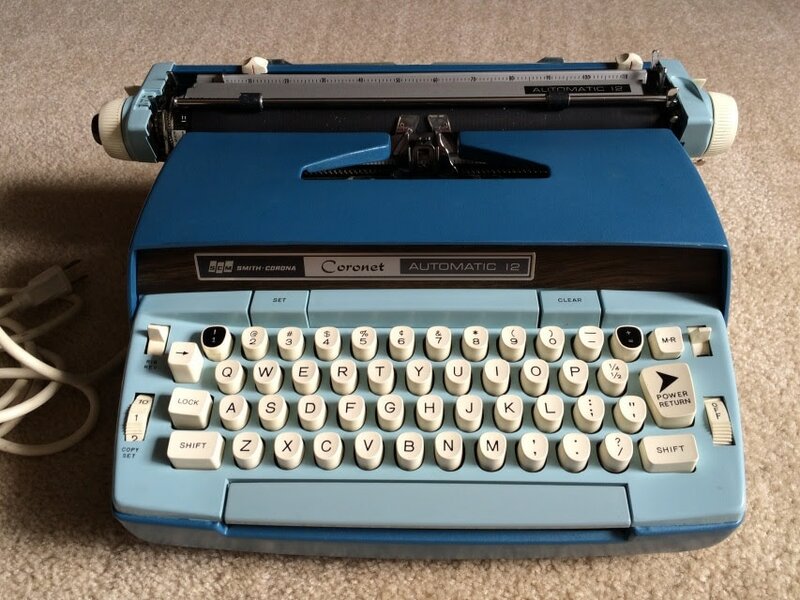 I am usually able to sell a serviced electric such as the duo-tone blue Smith-Corona Coronet on the right for around $150, however if selling as-is in need of work, expect much less (less than $50). The problem with electrics is that the majority of people interested in typewriters like the novelty of a manual typewriter and everything that comes with it, such as the sounds, feel of the keys and returning the carriage, as well as not being dependent on electricity. Other non-portable/desktops aren't worth much of anything unless they have been serviced and can be used. Some industries still rely on trusty electrics such as the IBM Selectric, and refurbished Selectrics can actually sell for a few hundred dollars. A Selectric needing work can be pretty much worthless unless everything is working, and the machine is just in need of a light cleaning and servicing before it can be put to work.